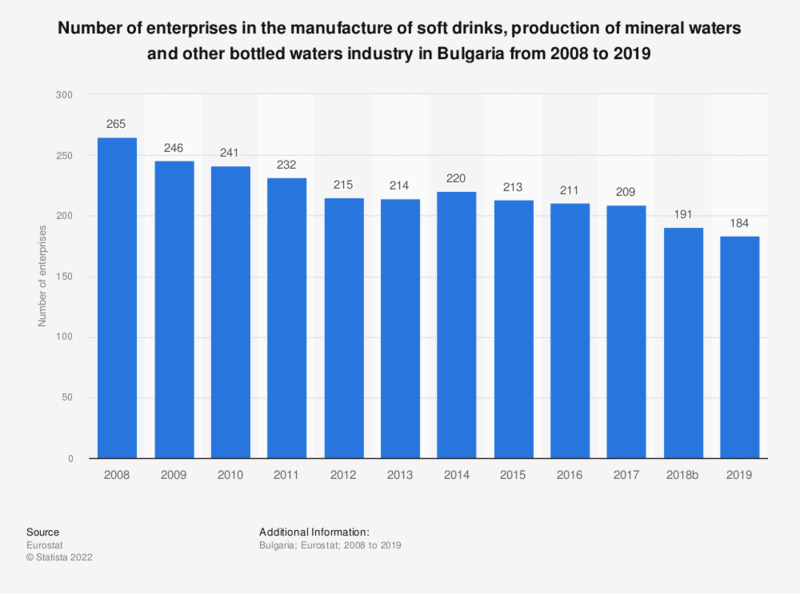 This statistic shows the number of enterprises in the manufacture of soft drinks, production of mineral waters and other bottled waters industry in Bulgaria from 2008 to 2016. In 2015, there were 213 enterprises in this manufacturing sector in Bulgaria. Number of enterprises: a count of the number of enterprises active during at least a part of the reference period. Definition for number of enterprises differs in some countries. Data coverage corresponds to Section C1107 of NACE Rev 2.